In my village of Gwelekoro I and a group of other housewives have created an association. We all pay into the association and then the money can be given as small loans for women. It is difficult to get money here in my village. This is why the association’s fund is important for women. We gather every Wednesday to discuss what to do with our money. 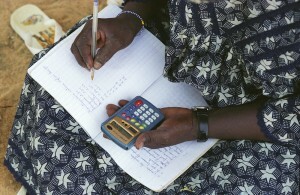 At the meeting each member pays 200 CFA [Financial Community of Africa] francs (26p) towards the association’s fund. We keep the money in a box. The box is kept by a woman chosen by the members, but its key is kept by another one. I am the one who registers every detail about the association in a copy book. When we calculate the fund I write how much we put in the box every Wednesday. When we collect money many women request loans. For instance, as we are on the eve of a feast, those who have nothing to buy gifts for their children borrow money from the association. But mainly women borrow money to trade with. They buy cattle (goats and sheep) or goods. The association can’t lend more than 50,000 CFA (£65.7) to one person. When you borrow money from the association you will have to give it back with an interest rate. For every 500 CFA (65p) you will pay 50 CFA (0.065p) as interest rate. 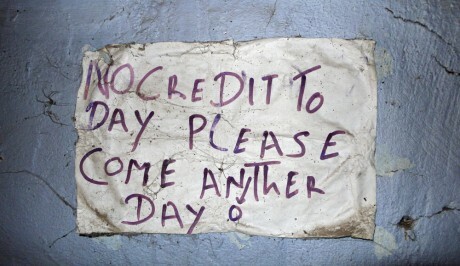 Those who borrow money pay back without any problem. The deadline to pay back the loan is four months when it’s not a huge amount, but when the amount is important the association will discuss the deadline with the borrower. I also write the name of those who borrow money in my book. The association gives a deadline to the borrowers to pay back their money and I also write down those recommendations. I’ve been doing that for about four years. If I didn’t attend adult education courses I wouldn’t be able to do that. But what I have learnt isn’t sufficient yet. I want to learn more now. In the past I didn’t attend the courses regularly. I would study a while and then would stop for several months. I have benefitted a lot from these courses. As people in the village know that I can write and read when an NGO comes into the village to look for women to be trained I am chosen with other women. This is how I have attended many training workshops in other regions of Mali where I have met women from different regions of the country. I really like this initiative and am interested in donating money to NGOs that provide this type of financial training. Can you let me know the name of the NGO that provided Kaidia’s training?